“Holy LORD- My Fridge Is Freezing Everything!”- HELP...? You try and convince yourself that the bottle you bought has expired. But then you find all stored vegetables, water and soda bottles frozen as well! Fortunately; this is one major issue that a lot of owners’ complain, and so you’re not the only one with this conundrum. 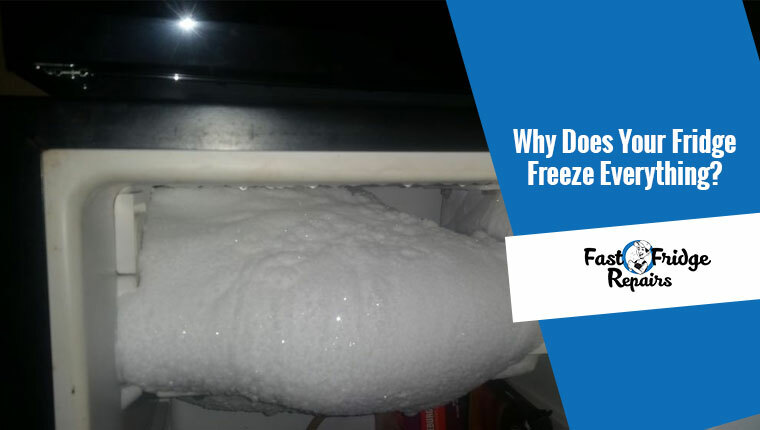 “Fast Fridge Repairs”; your one-stop-shop for quality fridge repairs in Sydney CBD presents you an insight on why this happens. Why Does Your Fridge Freeze Everything? Reason 1: The Fridge Thermostat Is Set Way Too High. The first rational reason for this predominant issue is that the thermostat is set at a much high temperature. Now, some fridge units consist of a marked imprint on the thermostat adjust knob, which, with time, gets erased. As the mark vanishes, users face difficulty to precisely determine the right temperature. Try and adjust the thermostat temperature appropriately, and if the issue still pertains, then you should not delay in speaking to licensed fridge repair specialists. Additionally- a faulty thermostat could also be the cause of everything freezing inside. The function of the thermostat is to automatically stop working as soon as the fridge reaches its set temperature levels. Simply put- it maintains the fixed temperature you set. But when the thermostat malfunctions, it cannot control the temperature, and hence makes the fridge freeze all that’s inside. Reason 2: The Coils Have Gotten Dirty. Usually, coils exist both on the outside (as condenser coils and heat exchanging coils) and on the inside (as evaporator coils). These refrigerator coils serve to act as a quality heat exchanging medium in-between the fridge liquid and its surrounding. With use over a period, these coils tend to get dirty, thus making the fridge work harder than it should to maintain the cold temperature. Occasionally filthy coils are also known to cause over-cooling. And that makes it another possible reason for your fridge freezing everything inside. Reason 3: The Gasket Is Leaking. The gasket line is located inside the fridge and is responsible for sealing the compartment to avert heat exchange between the inside and the outside environment. Now, if the gasket line starts leaking, then it will make the fridge cool continuously, hence freezing everything that’s inside it. 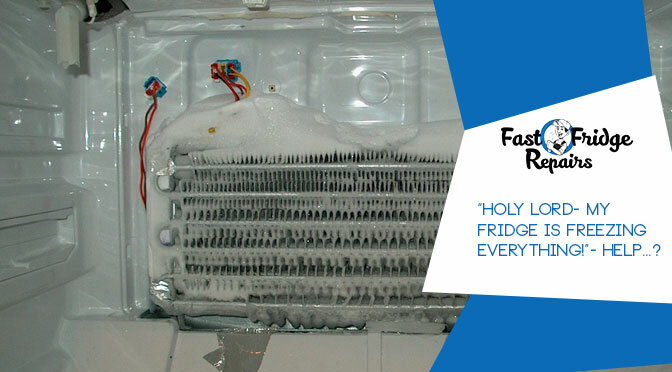 If you suspect this to be the potent cause, then you can contact our fridge repair specialists to deal with it. Reason 4: Issues In The Damper. You Know What a Damper Is? 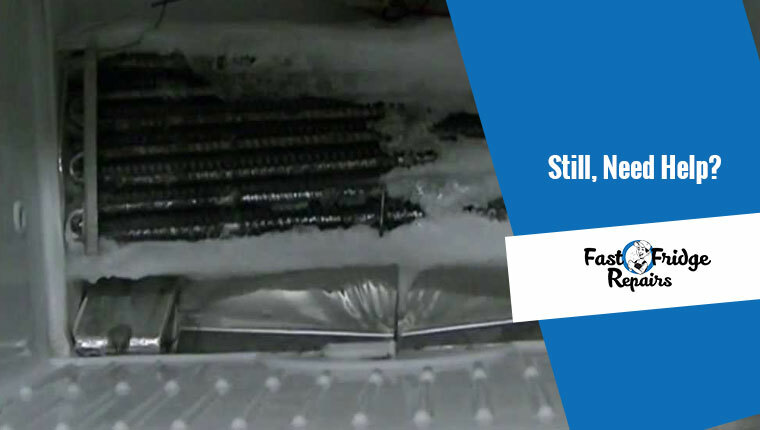 If not then- it is an assembly which helps regulate the amount of cool air entering into the fridge from the freezer. But like every part, your unit’s damper also malfunctions over time. And when that happens, it results in excessive cold air entering your fridge and causing everything to freeze gradually! If you still cannot isolate the issue causing your fridge to freeze everything, let out specialists offering quality fridge repairs in Double Bay check it out. Each of our experts has the ability to handle any brands of fridge repair in the country. So, whether you seek Artisan, Whirlpool, Kelvinator or Maytag fridge repairs; experts at “Fast Fridge Repairs” will fix your fridge professionally and make it functions like before. Next Post: Which is Going to be the Best for you- ‘Fridge Repair’ or a ‘Replacement’?